In today’s extremely competitive digital marketing scene, it is becoming increasingly difficult for SMB owners to stand out. 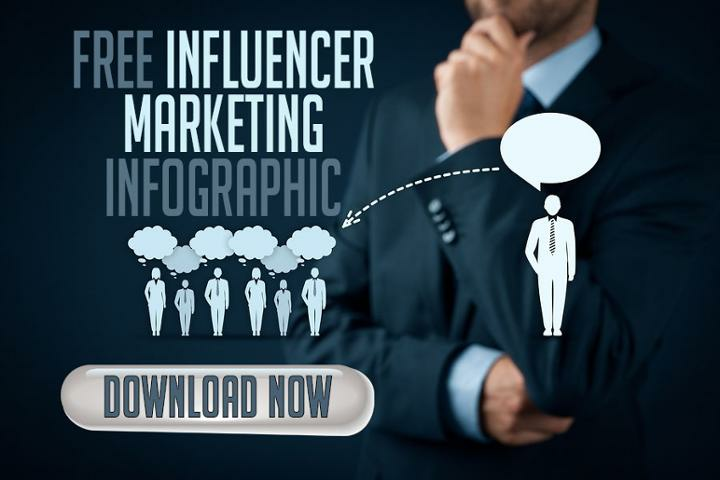 It’s because of this; many business owners have directed their attention towards influencer marketing in order to leverage the power of word of mouth that can be provided by an authority within their industry. If you too are interested in utilizing the power of influencer marketing you can find our complete guide here. But why stop there? What if YOU could be the authority others will look to for insight and guidance? Here are 8 steps to help you build your authority and credibility, and develop an influencer marketing strategy for your business. Whether you're a simple SMB or your industry’s leading influencer, your content always needs to be engaging, compelling, and able to offer great value. In order to do this however, you will need to have to have a very clear picture of your audience with a thorough understanding of their pains, needs, or interests. What are some key segmenting characteristics: Age, Gender, Income, Social Status, Career Status, Family Status etc. All this information can be attained by simply scouring your social channels, monitoring comments, audience’s posts, blogs they liked, emails they opened, topics they’ve searched and asked about, groups they are members of, and people they communicate with. Once collected, we recommend organizing all this valuable insight in the form of a “customer persona”. This will essentially create a “representative” for your entire audience and will further aid in your brainstorming, targeting, and content creation processes. It doesn’t matter if you are a seasoned professional or an industry newcomer, the art of becoming an influencer might require some indirect guidance. Pay close attention to what other influencers in your industry (or even other industries) are doing. Carefully study how they behave on social media, what they post, when they post, how they post, what they share, and how they interact with their audience. This will not only help you gain a better understanding of what is required of an influencer, it may also help you build upon these actions, potentially surpassing these “mentors” you have been monitoring. As an SMB and content creator, you already know the importance of maintaining a high quality blog. It is essentially the central hub for all your business operations and the most prominent channel your audience uses to consume your content. It is therefore, the ideal location to show frequent visitors (and newcomers) that you are an authority in your industry or niche. Always provide your audience with high quality content that addresses their pain, needs, or interests. Remember, your blog is a representation of you and your brand within your industry. Show your authority by disseminating your knowledge and expertise. Your posts doesn't need to be unique, but should reach your audience at a more personal level. Share your experiences and mistakes you faced throughout your career, and show them the steps you took to overcome obstacles. While creating high quality content is imperative to be seen as an authority in your industry, collaborating with other influencers can also be a great merit. Oftentimes guest posting is the best collaborative medium for influencers, as it enhances the reach of both parties. 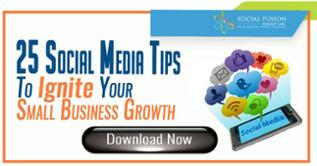 It also brings additional traffic to their blogs and social channels. Further, when two respected influencers partner and exchange posts, they can significantly enhance their credibility within their industry. Although you may be able to find such individuals by scouring social channels and FAQ websites, we here at Social Fusion are firm believers of working efficiently. Utilize a tool such as BuzzSumo and Google Alerts to effectively locate and review influencer accounts for a potential fit. Once you have located a good “fit”, it is important to reach out to them, review their submission guidelines, and offer them a quality piece of content. Ideally, this should cover a topic that they have yet to address, essentially providing value to both audiences. Remember, in the world of influencer marketing, reciprocity can go a long way. After you have successfully reached out to one influencer and have made a collaborative agreement, you should proceed to seek out additional influencers within your niche. Keep in mind, your ultimate goal should be to build a network of respectable influencers to be part of and build your authority and credibility within your industry. It's understandable that as SMBs most of your marketing operations are focused on ultimately creating leads and conversions. As influencers however, your audience will be coming to you to be educated on industry news, trends, and to have their questions answered. They will not be frequenting your blog and social channels to hear about your products or services. Your aim now is to be seen as an authoritative figure within your industry or niche, not another SMB wishing to pitch an offering. Having said that, we're not implying that you should shy away from ever promoting your products. Including a CTA somewhere within your post is ideal as it will not only allow you to promote your offering in a non invasive way; it will also allow your audience to take action in a fast and efficient manner. 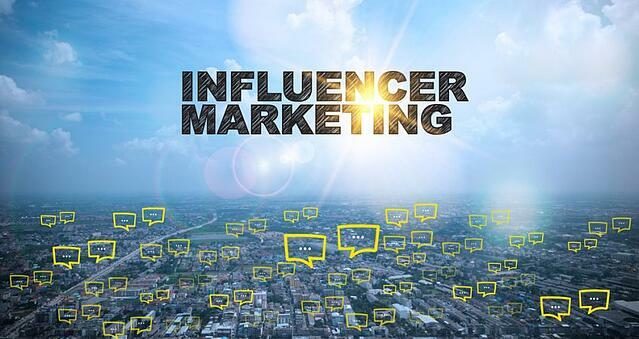 In order to be a successful influencer, it's not enough to constantly monitor industry news and trends. You must also be aware of what is being said among industry members and audiences. Tools such as Social Mention can help you monitor trending social conversations, and track how they evolve through time. This will help you gain insight on what your industry is interested in/concerned about, and will give you some time to address it with a well constructed piece of content, post, or comment. By doing this, you'll not only show that you are well aware of what your audience cares about, your engagement will also help increase your authority. As content creators, you're already monitoring for breaking news and emerging trends within your industry but as an influencer, you'll need to take this a step further. In order to be perceived as an authority you'll have to be the source of news for your audience. You'll have to show them that you know what is going on at all times and be able to provide them with updates and additional insight regarding important events concerning your industry or niche. The best way to be constantly on top of things is to subscribe, follow, and monitor industry news sites and industry blogs. Moreover, you should also follow other influencers on social media in the off chance you missed something or have a slightly slower source of information compared to them. While building a strong bond with your current audience is important, as influencers you'll need to constantly reach out to industry members in an attempt to build new connections and further expand your audience. This will essentially require you to start engaging and sharing your knowledge in areas your audience actively seeks information and networking opportunities such as LinkedIn and Facebook groups. On a more personal level, you could visit, read, and comment on other people's blog posts, and engage with them on their social channels. While your reach will extend much farther while online (and might be easier to do so as well), you must never neglect offline networking. It would be a good idea to occasionally offer to speak at industry related conferences, engage with other influencers that have taken themselves offline, and attend various networking events relevant to your niche, offering, and audience. Whichever the case, make sure you devote a good amount of time networking and engaging with members of your industry and never hesitate to share your knowledge and experience. This will not only help you build your authority it may even help you discover potential opportunities for a future collaboration. The road to becoming an influencer is not easy. There are multiple steps and elements to become an industry leader. However, anything is possible. The eight steps outlined above can be done by any business, no matter the size. Did you enjoy our content? Be sure to follow us on Twitter and like us on Facebook to stay update on all our content!